Its true! – After the end of the Second World War, a brand of toothpaste containing asbestos fibres was popularly used. Asbestos worked as an abrasive material that acted as a teeth whitener in a toothpaste product called ‘Ipana’. Now that we know the dangers of the material, it is no longer used, but product became very popular throughout the fifties. 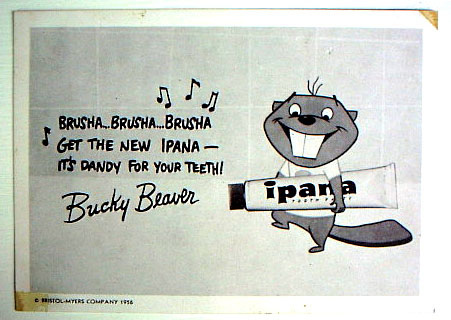 The advert for Ipana was played in the 1978 film Grease with the toothpaste’s mascot Bucky Beaver. For more interesting facts about asbestos, check out our Facebook & Twitter pages for regular finds, facts & advice!